This is a two ounce container of Miniatronics Rosin Soldering Flux Paste. 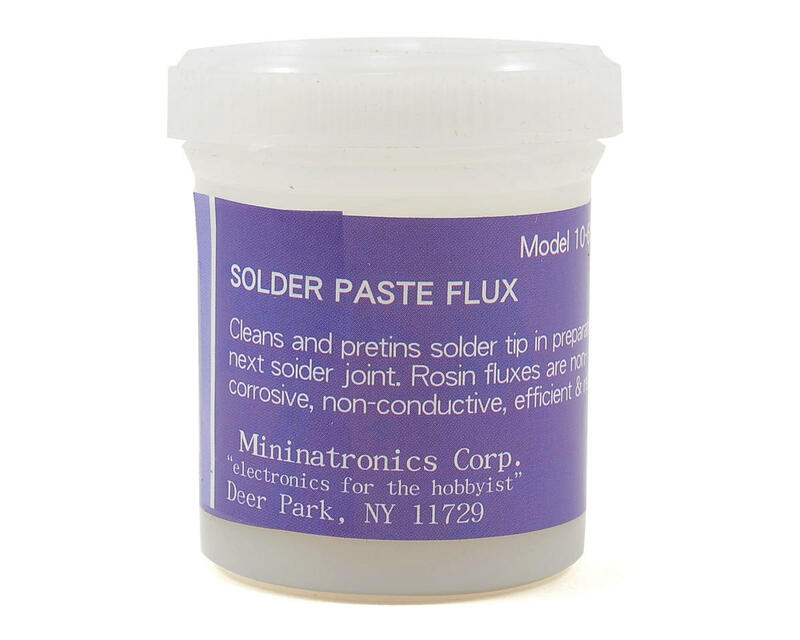 This flux helps clean and pretin the solder tip in preparation of the next solder joint. Rosin fluxes are non-corrosive, non-conductive and efficient. works great! all my soldering joints are cleaner and stronger. AFTER TRYING LOTS OF DIFFERENT FLUXES AND BEING DISAPOINTED.. I FINALY FOUND THE RIGHT FLUX FOR RC.